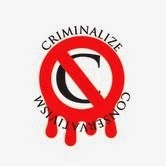 Criminalize Conservatism: We Found Out What The Letters "GOP" Stand For! We Found Out What The Letters "GOP" Stand For! The elephant - symbol of the Republican Party since 1874 - remembers that GOP stands for "Grand Old Party," but increasingly, the elephant is standing alone...At least that's the thinking at The Wall Street Journal, which has decided to stop using the acronym to refer to the 148-year-old political party. In an internal memo issued to staffers last week, Journal higher-ups said the term GOP will be dropped because not all readers know what the letters mean, and some may not realize that they are a reference to the Republican Party. "Because the short form may seem baffling (or even spin-doctored) to some new readers, we want to avoid its use in articles and headlines," says the memo. "Beginning in December, use it only in the direct quotations and then be sure to explain what GOP means. Even among people who know that GOP refers to the Republican Party, many may not know that it stands for Grand Old Party." We'll all sleep a little better, knowing that the WSJ remains ever-vigilant against creeping conservative bias. 'Grand' indeed. Harrumph. "'This is the party of Greed Over Principle whose goal is to create a Greedy Oligarchic Plutonomy,' writes ProgressiveRepublican. '(G)reed, (O)bstruction, & (P)aranoia party,' says mb99. 'Greed Over Prosperity,' adds wdrussell1. 'Guardians of Privilege' from 88 Ronin..."
...and the code can be hidden by one lie after another. ...and sometimes it's not that hard at all for the rest of us. ...because they don't care who knows. 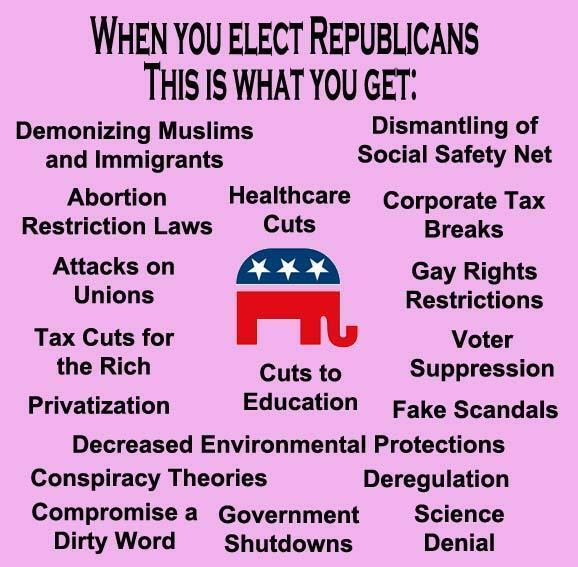 Greed is the basis of EVERYTHING the GOP stands for, and as we've pointed out for years the Republican Party is a hidey-hole for the criminal cartel known as "Conservatism." Conservatism is and always was focused on one thing, the enhancement of power and riches for the one percent who fund and sponsor the GOP. Some call Conservatism Murder, Inc., and some call it fascism, but either way it's extremism, pure and simple. When Conservatism is finally outlawed and the assets and income of the greediest among us is distributed to the 99 percent, then we'll only see the GOP as an ancient, barbaric group that almost killed us off by stealing everything they could while almost plunging us into extinction. Isn't it PAST the time to criminalize Conservatism?